Just a few days ago, I returned home from one of the most memorable and luxurious trips I have ever had the pleasure of going on. I am so honored to have been an instructor at the Lantern Moon Retreat this year in Sisters, Oregon. 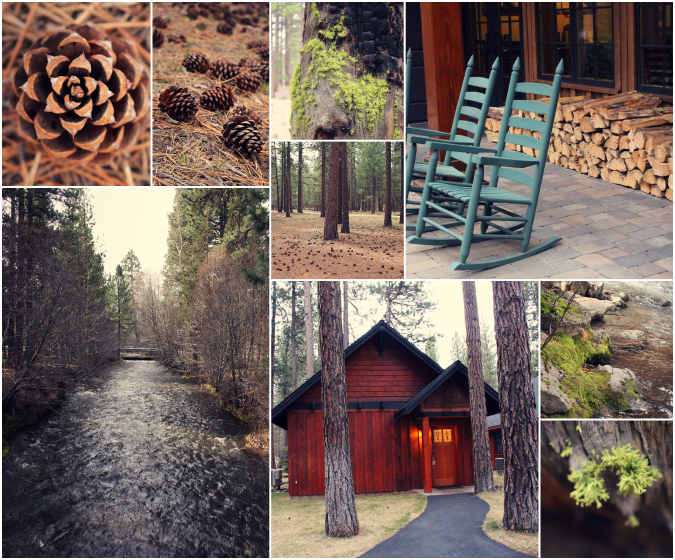 We all stayed in adorable cabins in the Five Pine Lodge and it was beyond amazing. There is nothing like knitting in cozy, peaceful surroundings! 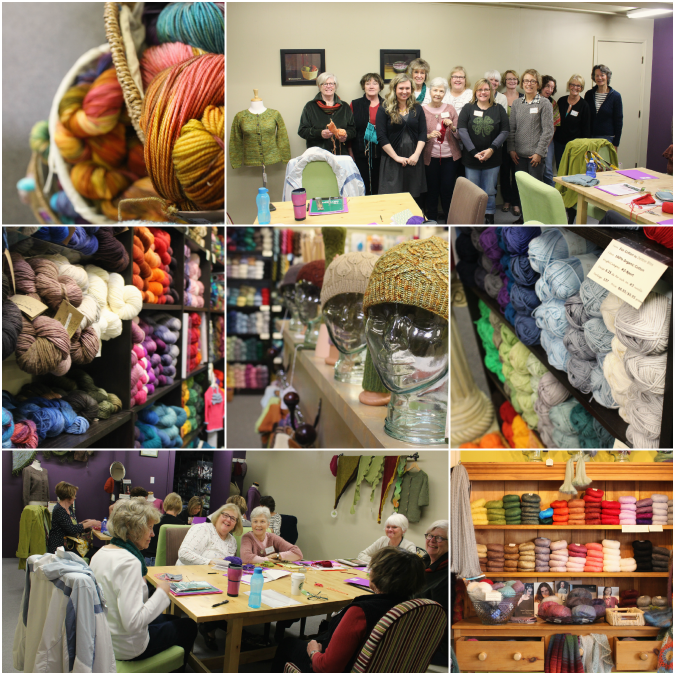 The best part however was getting to meet all of these fabulous knitters! If you are ever looking for a knitting retreat to attend in the future, I highly suggest Lantern Moon retreats. Cathy and Sharon really put on a nice event. I have never eaten so much good food and had such great company in my whole entire life! By the way, if you find yourself in Sisters in the future, be sure to stop by The Stitchin' Post, a fabulous yarn and fabric store with a selection to die for! 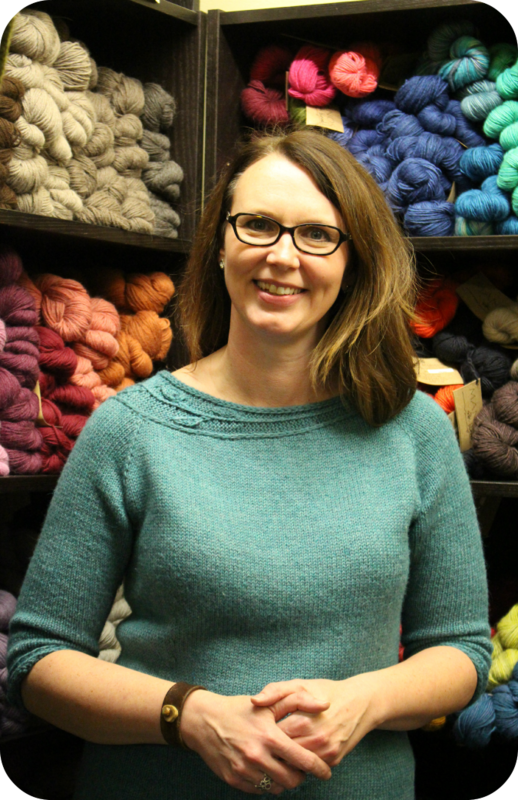 ... where I was greeted by this welcoming yarn shop owner, Sarah, wearing her beautiful Sprig pullover! 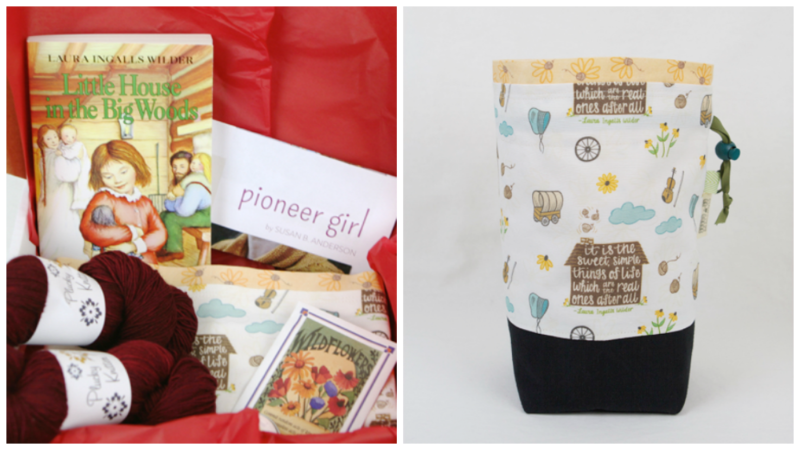 I was so happy to see so many Botanical Knits samples displayed beautifully around the store and classroom. Sarah really did think of every detail to make my time there special. I was happy to spend a full day at this beautiful store teaching classes, making new friends and of course...shopping! Of course. 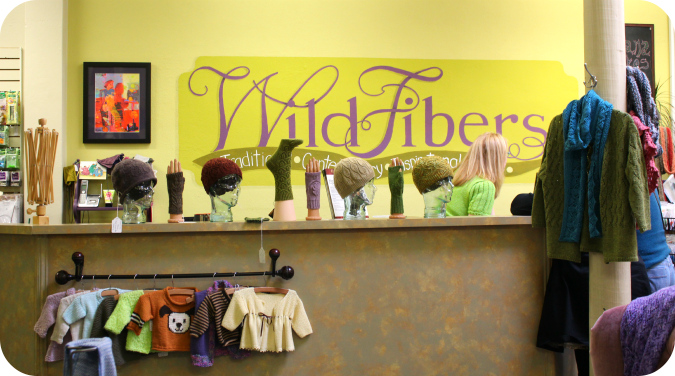 My visit to Wildfibers coincided with the Spincycle Yarns trunk show. 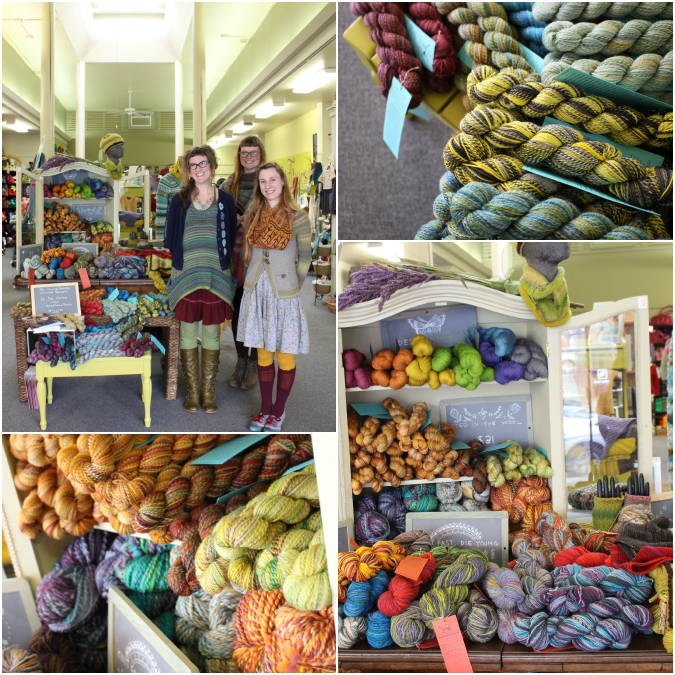 It is always a pleasure to get to visit with the ladies of Spincycle and check out their gorgeous colorways. On our way back from the shop, we passed by the most beautiful site I may have ever seen. 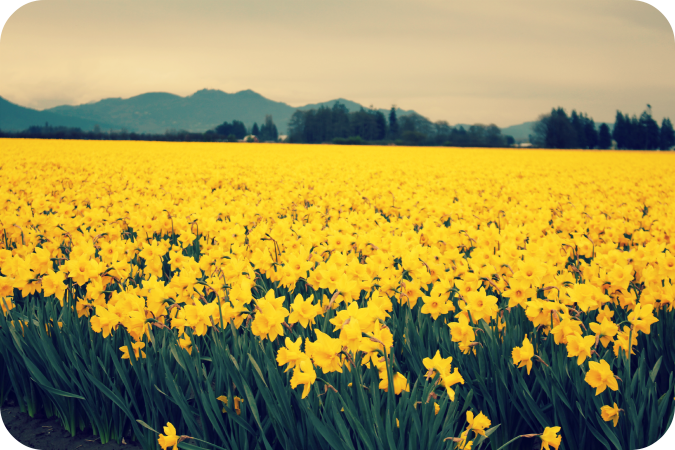 A gigantic field of daffodils. As far as the eye could see. Amazing. My husband and I greatly enjoyed our time on the Pacific Northwest. I am so grateful to Cathy, Sharon and Joel from Lantern Moon for inviting me to be part of such a lovely retreat, to Sarah for hosting me at Wildfibers and for all of the knitters who made me feel so welcome. 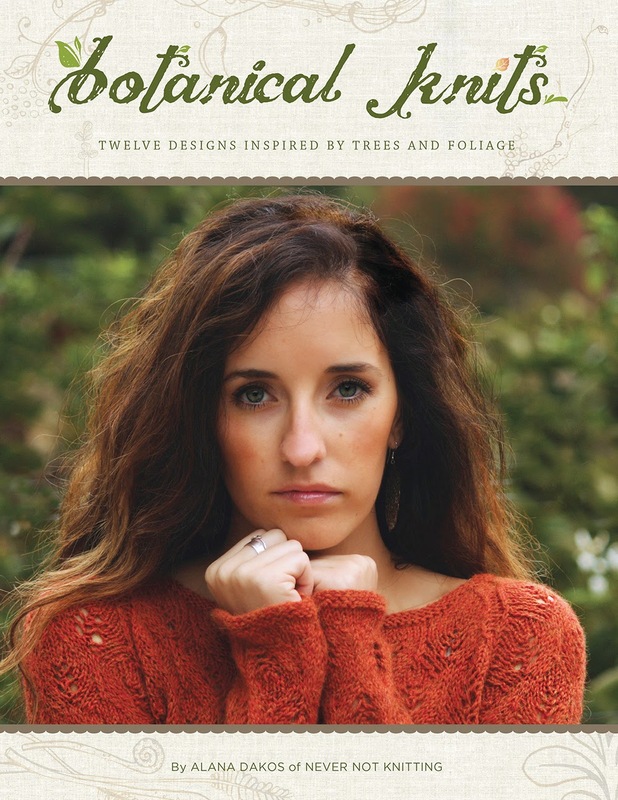 I am so excited to share that the patterns from my book Botanical Knits, published in 2013, are now available for purchase as individual pdfs! Please visit ravelry.com HERE to purchase your favorite patterns from the book. Of course, the complete collection is still available in ebook form at botanicalknits.com or in print at your local yarn shop.